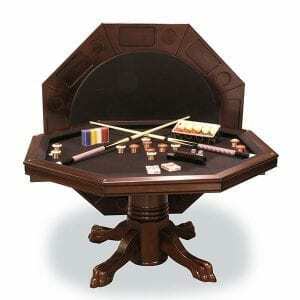 Have a small or uniquely shaped billiard room? 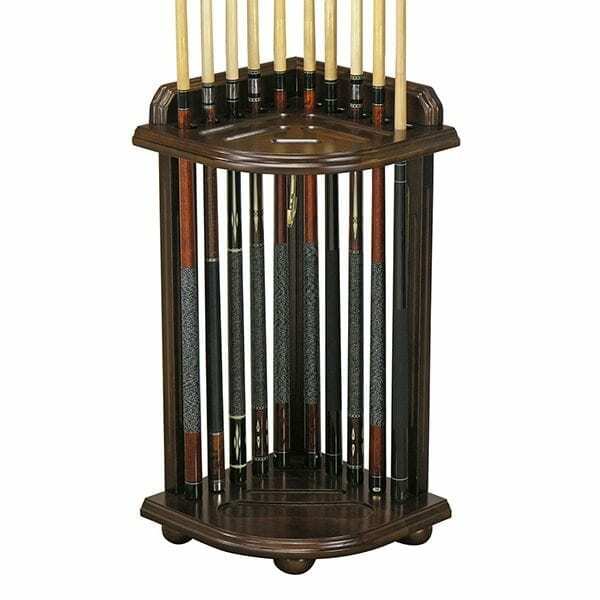 Get one of these handy Corner Cue Stands and solve your billiard accessory storage problems. 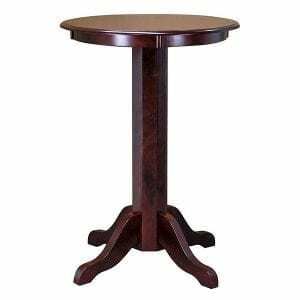 This cue stand is great for rooms with limited space. It fits snugly in a corner and allows traffic to flow around it. 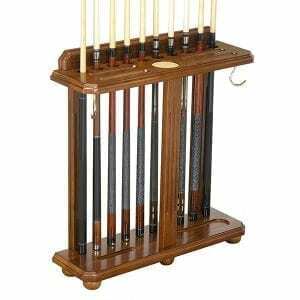 The Cue stand holds 10 cues, a full set of billiard balls, brushes, and ball racks. You could also add one of our Executive Billiard Storage Benches to your billiard room for additional cue, ball and ball rack storage. 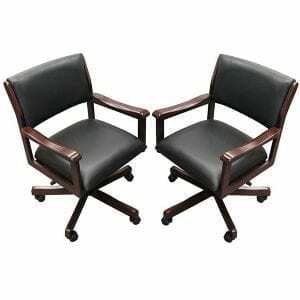 We also offer Wall Mounted Cue Racks and a range of chairs that make any billiard room enjoyable and fun.